To determine whether the site is an affiliate or merchant site, 'cursor over' the links and check your browser's status bar to see if the links are affiliate product links. Most of the links through the affiliate networks are readily identifiable as such. For example, Commission Junctions links all begin with "http://www.qksrv.net/click-" and Linkshare's start out with "http://click.linksynergy.com". Clickbank links are generally configured as "http://hop.clickbank.net/?affiliateID/sellerID" and BeFree/Reporting.net's links start with "http://service.bfast.com". However, many affiliates now use affiliate-cloaking software or 'mouseover' scripts to hide and protect their affiliate links from commission theft, but you can easily determine whether or not they are affiliates. Simply click through on the product links. If clicking takes you to a new site or domain, then the site is likely an affiliate site. On the other hand, if you click on a link and the resulting page comes up on the original domain, then it is probably a merchant site. I say 'probably', because the cloaking software that I use makes it look like the resulting page comes up on the domain you started out on. For example, if my product link for "33 Days to Online Profits" is http://rosalinds.com/33davs.html and someone clicks on that link, the new page that is displayed in the browser's address bar using my cloaking software would still be http://rosalinds.com/33davs.html. So, to anyone judging product ownership based solely on domain or URL displayed, it certainly looks like '33 Days to Online Profits' is my own, because it seems to reside at "rosalinds.com" because of the cloaking software. Of course, you have to look farther than just the address bar. Look for product or manufacturer's names, and 'buy now' links. Keep searching until you discover the truth. When you arrive at a merchant site with great products, start looking for links to their affiliate program. If an affiliate network like Commission Junction or Linkshare administers the program, don't sign up for the program through the merchant's site. If you sign up at the merchant's site directly, you could end up opening a new Commission Junction or Linkshare account that you don't need. Pay a visit to the applicable affiliate network, and search for the merchant's name from within your account. If the merchant has excellent products that you'd like to offer, but doesn't have an affiliate program, that's OK. There are ways to encourage merchants to offer their products through affiliate programs. 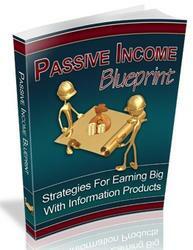 These are covered later in the Super Affiliate Handbook. I have been delighted on occasion to discover that sites paying the most to advertise were poorly designed or didn't offer a very wide range of products within the topic I was researching. In those cases, if I build a well-designed Web site that gives the surfer exactly what they want, I should be able to achieve a fairly good degree of success, even if I don't list my site in a top spot on the pay per click search engines. Don't overlook this step in your affiliate business-building process. You'll be surprised what researching the competition will tell you. In many cases you too will be delighted to see how little competition there is, and how much room the market holds - just for you.